For Nesting cabinet/MDF and Routing with straight and profiled tools. The Aerotech Hydro is recommended for high production and high quality requirements. 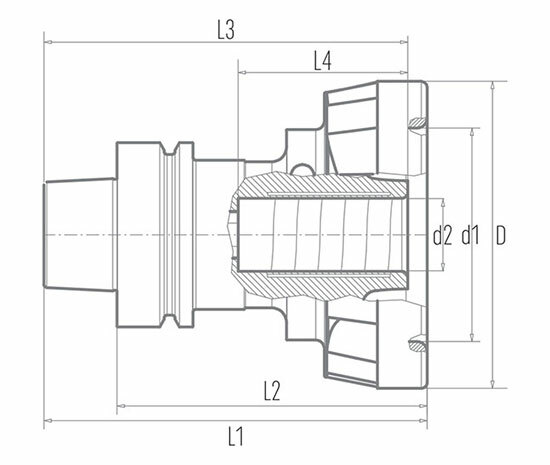 The hydraulic clamping system offers security, precision and high production levels. Ideal for applications demanding high quality at high speed. The Plus version with the patented Faceplate grill is ideal for those cutting operations that produce large pieces of debris and off-cuts. Reduction sleeves available as accessories to adapt tools with different shank size.